As I homeschooled a growing family for almost 35 years, I found myself less and less satisfied with the curriculum options that were available. As a writer, I quickly found myself drawn to creating my own materials. For the longest time those materials just existed on my computer for use by my family. I’ve had so much fun writing and publishing books for so long that it will take me awhile to get most of them here on the website, but hopefully, slowly, they will appear. 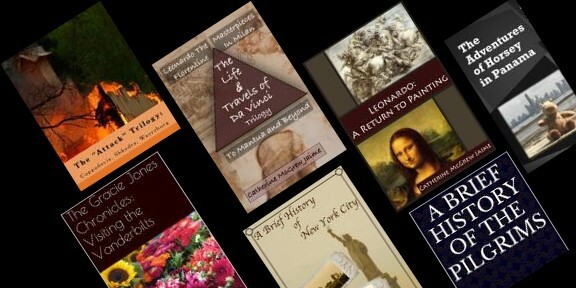 In the meantime, feel free to check out all of my paperback offerings on my Author Page on Amazon. While I’ve never been a fan of “read and regurgitate” types of workbooks, I found through many years of teaching, that I really liked workbooks that required students to go in search of the answers. As a result, I produced, first for my own use and then to publish, a large number of such student books.